This case study post examines how Facebook ads increased sales for the Laurier Lounge, a Calgary restaurant focused on delivering exceptional customer service and high quality food for reasonable prices. Turkey Burg first began managing the Laurier Lounge’s Facebook page and advertising in late January 2016. The positive impact on sales didn’t happen overnight, but it did not take long to see clear signs that the local business was moving in the right direction. After three months, Facebook ads increased sales by 18% when looking at the restaurant’s year-over-year (YOY) monthly revenue and I wrote a post recapping our activities up to that point. The results after three months were enough for the Laurier Lounge to expand the scope of Turkey Burg’s services and we launched a new website for the restaurant in early June. At this point, the Laurier Lounge also increased its budget and restricted all advertising investments to Facebook. By the end of July, six months into the campaign, Facebook ads increased sales by 32%. You can read our six-month advertising review here. We reached our nine-month milestone with Laurier Lounge at the end of October and the results are even more impressive than the previous two quarters. YOY monthly sales were 52% higher in October than before Turkey Burg began managing the Calgary restaurant’s Facebook marketing and website. Before explaining the tactics and strategy behind this sales increase, let’s look at how we’re calculating the percentage. The restaurant business can be very seasonal and depend heavily on geography. In Calgary, large events like the Stampede, enticing weather in the nearby Rocky Mountains and the cyclical nature of the oil and gas sector may also influence a restaurant’s success. For these reasons, it doesn’t make sense to compare one month to the last. December, for example, is typically a good month for the service industry with people looking to spend money on office parties, family dinners and going out with friends. By contrast, January can be an incredibly slow month for the hospitality sector with people looking to recoup from the holiday season and maybe pay down credit cards. It wouldn’t be statistically relevant to compare December’s sales to January. To get a good analysis of how the Laurier Lounge’s sales are improving, we calculated the YOY monthly average sales for the six months prior to working with Turkey Burg. Due to Calgary’s economic troubles, the Laurier Lounge, like many other restaurants near the downtown core, was struggling. From August 2015 through January 2016, monthly sales averaged 24% less than the same month from the year before. As illustrated in the above graph, the sales revenue in October 2016 was by 28% more than October 2015, which is an increase of 52% compared to the Laurier Lounge’s monthly average prior to Turkey Burg managing its Facebook ads and website. Reviewing tactics deployed over the last 4-6 months, the biggest change relates to audience targeting. As mentioned, Turkey Burg built a new website for the Laurier Lounge in June. The new site has many more pages than the previous version and includes a Facebook tracking pixel. Here’s why this matters. Example of the Laurier Lounge’s new menu page with individual highlighted items. Most restaurants display their entire menu on a single page. This approach really limits audience tracking because everyone visiting the website looks at a single URL, whether he or she is interested in steak, seafood or a vegan salad dish. Even if you have a tracking pixel in place, your site groups all page views into a single audience because all items are on the same page. The new Laurier Lounge website features a separate menu page for each broad category: Dinner, Lunch, Brunch, Desserts and Drinks. These menu category pages list all the related items but also include links to a separate page for each one. And because we installed Facebook’s tracking pixel throughout the site, we can create advertising audiences on Facebook around the people who have viewed specific pages. For example, we’re able to take the 1,200 Facebook users who viewed the Laurier Lounge’s fondue pages in the last 30 days and create a custom audience. Then we ask Facebook to search its local network for similar profiles to the custom fondue audience. It may find 150,000 users within Calgary that match the top 1% of profile characteristics. This gives us a large advertising audience built on a group of people who resemble people who viewed the Laurier Lounge’s fondue content. In other words, an audience likely to be interested in fondue. 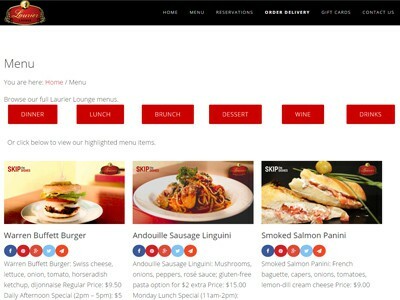 We can apply the same process to create lookalike audience for people interested in brunch, hamburgers, pasta, etc. This last three months also saw our most successful monthly photo contest poll. 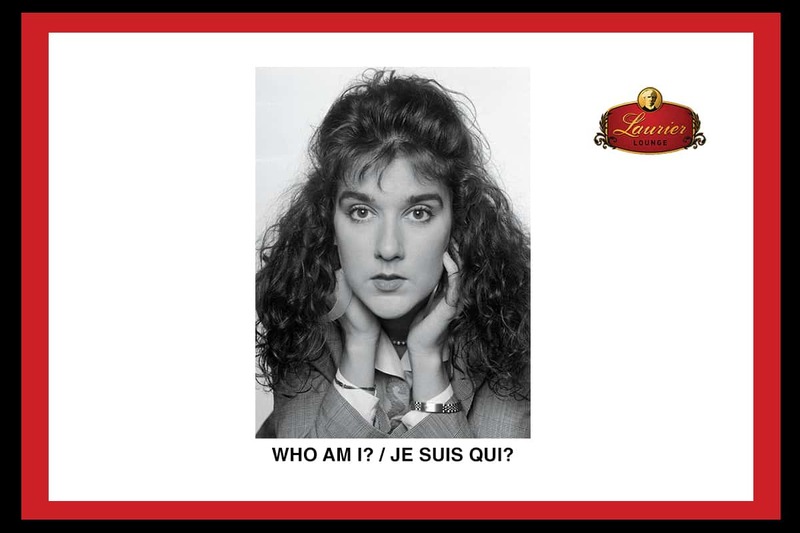 The contest for September featured a photo of a young Celine Dion and had over 500 entries. 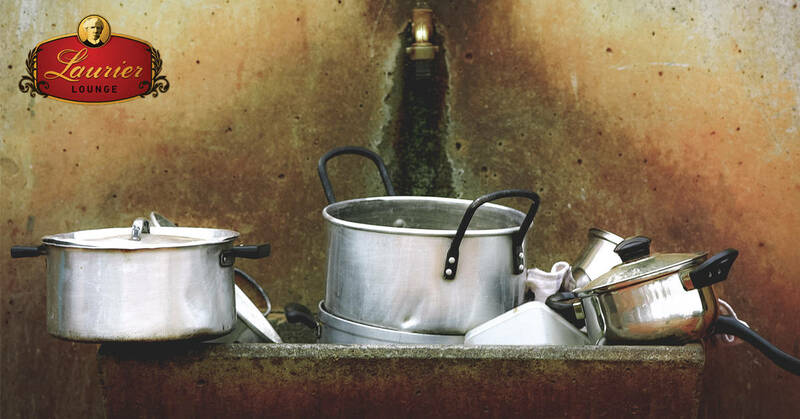 A post for August long weekend that reminded people to relax and forget about household chores. 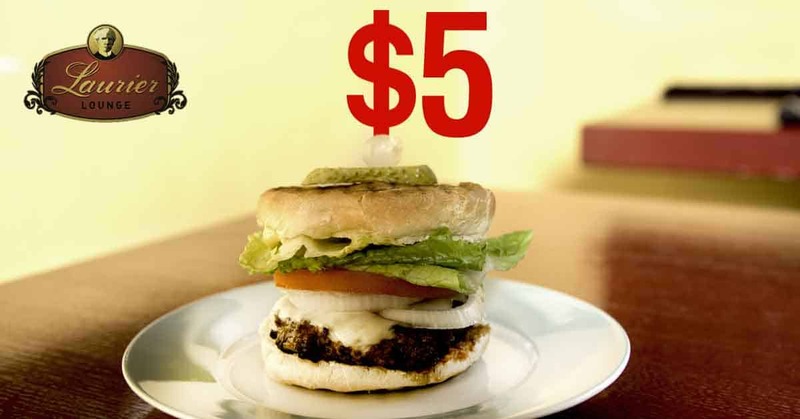 An ad to promote an ongoing $5 burger promotion for the entire month of August. I’m a big advocate of online conversion tracking. I always try to find a way for clients to measure the return on advertising dollars by looking at revenue-generating actions taking place. In the case of the Laurier Lounge, customers are able to book reservations and order delivery online. Both processes, however, are managed through a third party provider that doesn’t allow conversion tracking. Thanks to the new website, we’ve begun to track clicks on certain buttons (e.g. Order Now) and have also implemented an email signup. We hope these tactics will pay off and will look to feature the results in future posts. The other big change coming up is the addition of an online store. The Laurier Lounge will soon sell gift cards via its website and we will also look at the impact this development has on revenue. If all goes to plans, I’ll be writing in a few months about how Facebook ads increased sales by an even larger margin.